For windows and doors. Fixed or retractable. Uses molded corners. Same back height as projection. Can use from 3-5 arms. In 18/28 projection between 500-900mm and width 1500-3000mm. In 20/48 projection between 500-1300mm and width 1500-6000mm. Valance standard 150mm, can have double. Over 4480 in width, an intermediate arm is recommended. For windows and doors. Fixed or Retractable. Uses bent corners@300mm or 400mm radius. Same back height as projection. Can use from 3-5 arms 18/28.projection between 500-900mm and width 1500-3000mm. 20/48, projection between 5001300 and width 1500-6000(depending on projection) Valance standard 150mm can have double. Over 4480 in width, an intermediate arm is recommended. For windows and doors. 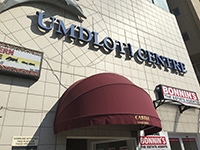 Dome awning/ half round. Same back height as projection. Fixed or retractable. Standard sizes from: 18/28 450-900mm projection and 600-1500mm width. 20/48 450-1350mm projection and 600-2400mm width. 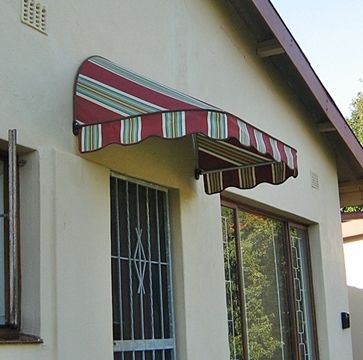 Valance standard 150mm can have double. For windows and doors where there is a limited space above to fix. Back height is smaller than projection. 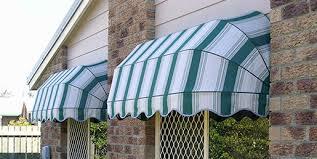 Fixed Awnings only. Capri comes with bent corners. Milan comes with Mitered corners. 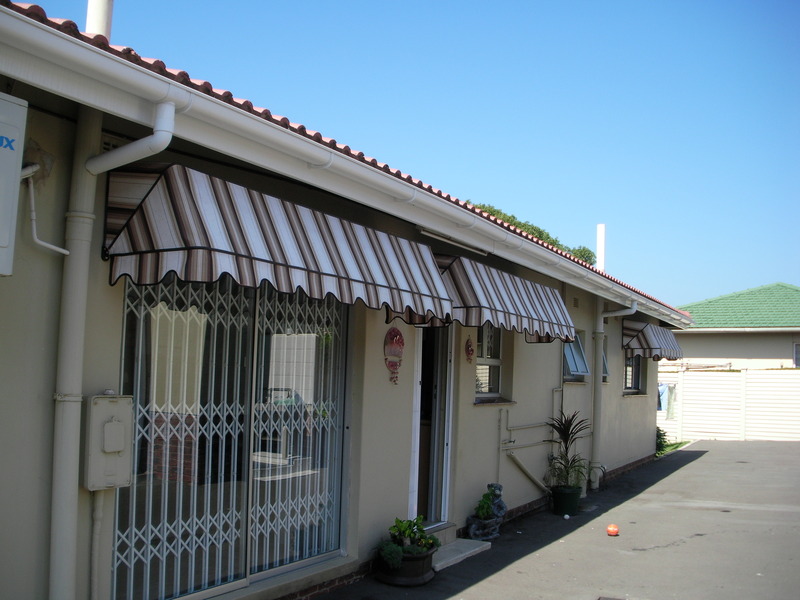 Similar to Milan Awning but has a rounded bullnose front. Used in the same situations. 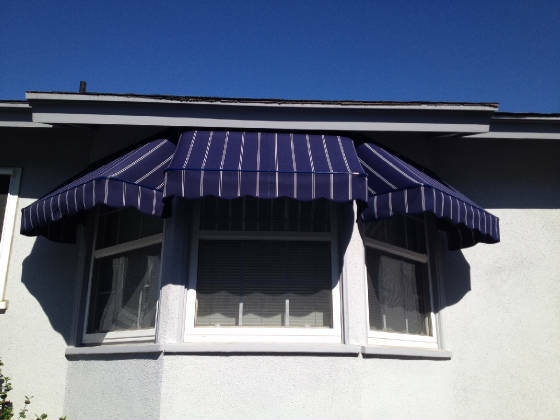 Fixed Awnings only. Main frame from 20/48 profile. Arms in 18/28 Braced with “U” channel. 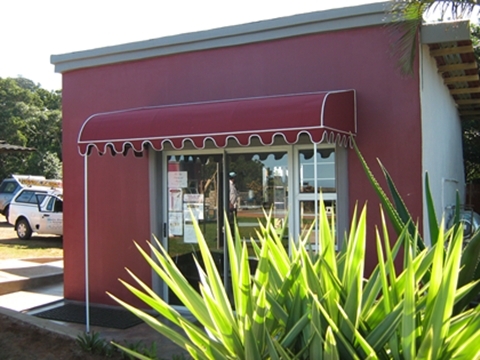 Range from: Back height 400-700mm Projection 500-1300mm Width 1000-5000mm Valances standard 150mm can have double. Over 4480mm width, an intermediate arm is recommended.